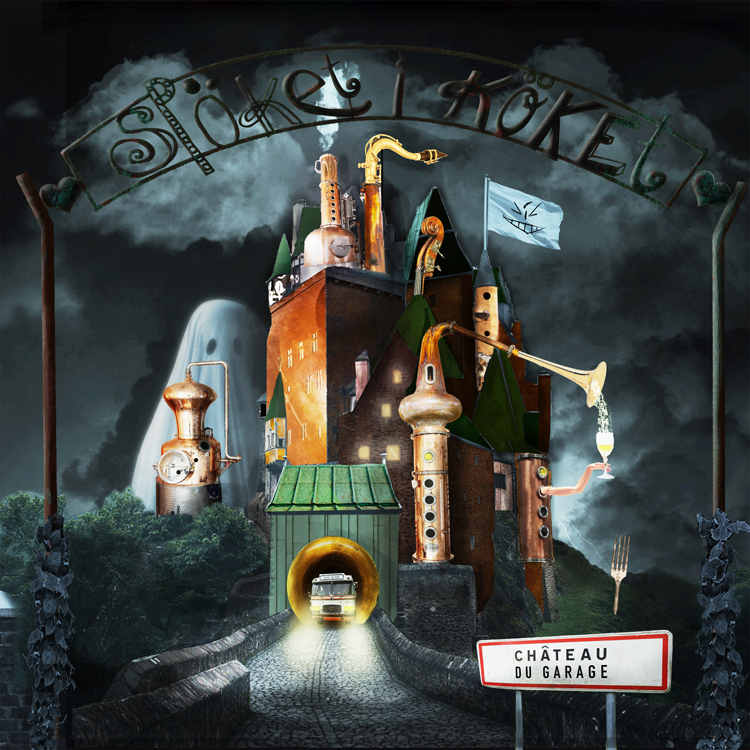 Release Spöket i Köket – Château du garage release 13th April 2019. Spöket i köket (Ghost in the kitchen- Le fantôme dans la cuisine! ), is one of the heaviest folkbigband on the Nordic folk music scene. A Swedish/Danish/Belgian lounge-rave orchestra gathering dancing tunes and ballads from the Nordic and Canadian tradition, as well as from their own heads. Ten musicians on twenty instruments provide a wide variety of sounds, enabling the individual backgrounds of each member to shine through, while together creating a bigger whole. Styles such as manouche-jazz and heavy metal will not go unnoticed in soundscape of traditional music.